Please also check the FAQ for answers to some common questions. Thank you for using Auction Defender as your auction tracking and bidding tool. The program is designed to be intuitive and easy to use, yet full-featured and sophisticated enough to satisfy the needs of the experienced eBay user. Auction Defender tracks auctions and automates bidding. When an auction is added to the main program screen, the essential information is displayed in a grid, allowing for tracking a large number of auctions at the same time. Information in the grid is refreshed periodically, at a user-defined interval, allowing for an easy overview of multiple auctions you're interested in tracking. Once an auction is added to the program, there is no need to go back to eBay for constantly checking on your auction. Even bidding can be easily automated through Auction Defender. You can specify exact number of seconds before an auction closes (snipe) for getting the last bid in, without driving the price up early. For more detailed information on using Auction Defender, please see next section of the documentation, Using Auction Defender. For a quick introduction to the program, use the Quick Start Guide. The first thing you see once you start the Auction Defender program is the Main screen. It is initially empty, however it will be filled with auctions you add to the program. You can add auctions to the program by simply clicking on the Auction Defender button in Internet Explorer or Firefox, by dragging the address from any browser window to the Auction Defender program, or by copying the eBay auction item number, and pasting it in the program button toolbar. The program also provides for importing auctions from "My eBay", or any eBay search results page. For more details, see the Adding Auctions to the Program section. Note that Auction Defender uses your existing Internet connection. Before using the program, you need to connect to the Internet. The program can utilize any type of internet connection, from dial-up to broadband, however it will not connect your computer to the Internet for you. The program also needs to be running for bids to be placed. Auction Defender has a number of settings that customized using the "Options" menu. It is accessible by navigating to Tools > Options in the top text menu bar. The General tab in the Options menu allows for customizing the auction refresh period, your preferred eBay site, as well as a number of other general settings that should be pretty much self-explanatory. For a detailed description of all settings, please see section 4.4.1 Options Menu. The Users tab in the Options menu defines the eBay user ID(s) that will be bidding using the program. It is important to enter your eBay User ID, so Auction Defender can have the ability to place bids. Your eBay ID and password are only transmitted to the eBay website when and if necessary to place bids, as specified by you. If your Internet Provider requires the use of a proxy server, the "Connection" tab allows for setting it up, as well as testing the Internet connection. Note: It is also possible to specify multiple eBay IDs, or add different ones from the Bid screen. The Main screen of the program contains text menus, a Button Toolbar, as well as the main area we refer to as the Auction Grid, or simply "The Grid". It is a color-coded spreadsheet-like screen filled with all the necessary information for tracking a large number of auctions, bidding on them, even adding personal notes about items. 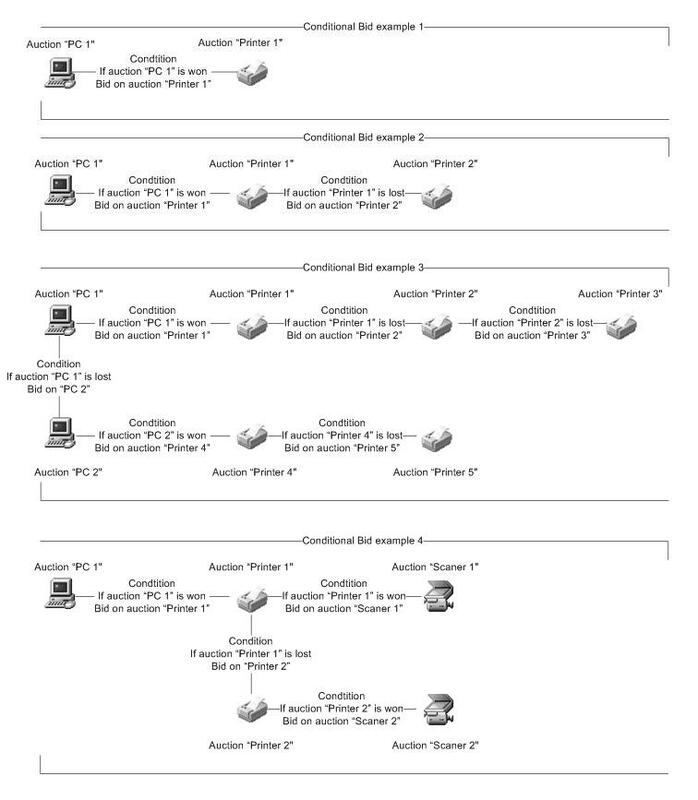 The Auction Grid section of the documentation explains the elements of the grid in more detail. a) Probably the easiest way to add auctions is with a single click on the Auction Defender icon in your browser's toolbar. The program currently supports both Internet Explorer and Firefox using this method. Using the button, you can import single eBay auctions from the "Item Description" pages, or even an entire list of auctions from any eBay search results page. b) While viewing an eBay auction (the "Item Description" page) in your browser, you can click and drag from the URL (from the browser address bar where the URL address is) into the Auction Defender program, and drop the address anywhere on the main program screen. Note: If the Auction Defender program is not visible, you can also drag over the Auction Defender icon on the taskbar, which will bring Auction Defender to the front, so you can drop the auction address in the program. c) You can copy the auction number from the eBay auction page (look for "Item Number: nnnnn" in the upper-right corner of pages), and paste it into the text field in the middle of the top Auction Defender button bar (right in front of the "add eBay item" button, see image). d) You can mass-import auctions watched in "My eBay" by using the "Import > Import auctions from My eBay" menu. e) You can mass-import auctions from any eBay search results page from the "Import > Import auctions from eBay search". You also have the ability to save favorite searches, and import results from them periodically. Snipe Bid (time before auction end) - this type of time-delayed bid allows for bidding an exact number of seconds (or minutes) before the auction closes. It is the recommended type of bidding, as it avoids competing bids as much as possible until the last seconds of an auction. Sniping is the key to consistently winning auctions! When you bid on an auction in the last few seconds, you avoid driving the price up early, as other bidders compete with your bid. If you time your snipe bid just right, in the last few seconds before auction close, you ensure that you get the last bid in, not leaving time for other bidders to counter you and drive the price up. The best way to win auctions at the lowest possible price is to use Auction Defender's snipe bidding. Instant bid - this option places an immediate bid on eBay, much like using the website. Note that placing an immediate bid can drive the final price up, since other bidders have plenty of time to compete with your bid. Use Snipe Bidding. As already suggested, snipe bidding gives you the edge necessary to win auctions at the lowest possible price. By placing a time-delayed snipe bid, you avoid driving the auction price up early, and limit the number of bids that can be placed after yours. Make sure you're connected to the Internet, and the program is running. You can set Auction Defender to start with Windows. Also, keep in mind that the program is not going to connect to the Internet for you. In order for Auction Defender to work, you need an active Internet connection, your PC must be turned on at the specified bidding time, and the Auction Defender program must be running. Keep your time synchronized with eBay. The program options allow for periodic synchronization of the program time with eBay. Correct time is essential to placing snipe bids. You should make sure that the interval at which the program synchronizes with eBay time does not allow for big time difference, so that snipe bids can be placed correctly. Find out how long it takes for your system to place a bid. The Auction Defender program has a screen with statistics, accessible from the Tools > View Statistics menu. The menu allows for easy monitoring of the average time it takes for the program to refresh auctions, sign in to eBay, and place bids. You can then use this information to fine-tune the timing options and place snipe bids just seconds before auction close. Compare exact snipe times with eBay. After bidding on an auction, you can verify the exact snipe time according to eBay by viewing the eBay Bid History page. This information can be very useful for fine-tuning your snipe bids. You can figure any time difference between the time your computer shows you placed the bid, and the eBay bid time. Use the .02 / .03 rule. Most people bid in even numbers. If the bid increment is 50 cents, make your bid .52 or .53. This way you may just outbid others by a few cents instead of a larger increment. This is very useful when sniping. Search completed items. It is the best way to determine what a product is worth on eBay, so you can make an educated guess on how much you should bid. How does sniping save you money ? Let us look at two examples. One where you are placing proxy bids while the auction is open, and one where you are sniping a bid in the last seconds of bidding. Let's assume bid increments of $1.00. As the case studies above suggest, sniping saves money. Placing bids early (especially proxy bids) only serves to drive the price up, giving others the opportunity to change their bids, even get reminded by email from eBay to bid again. By waiting until the last few seconds, Auction Defender saves you money. Sniping still gives the opportunity to everyone to place their bids while the auction is open. It simply helps avoid driving the price up early, and it does make a significant difference. Items can be deleted from the Auction Grid by simply selecting an auction, then hitting the Delete button on your keyboard. Alternatively, you can right-click on an auction in the Grid, and choose Delete item(s) from the pull-down menu. The program also allows for selecting multiple items and performing different actions on them. In order to delete multiple items, select them first, by holding down the SHIFT or CTRL keys and clicking multiple items with the mouse. Then, you can delete them as described above, by using the right-click > Delete item(s) from the pull-down menu, or the Delete button on your keyboard. With version 1.7.1.0, we're also introducing a new setting in "Tools > Options > Auto Delete" that allows for the program to automatically delete old auctions after a specified number of days. The entire contents of the Auction Grid are contained in an Auction database file. Sometimes, it is useful to work with multiple sets of auctions, maybe you want to archive old auctions, or completely separate different types of auctions you're tracking. This can be achieved by working with different Auction database files. By default, all the auctions that you import in the program are contained in a file in the program directory called AuctionDefender.adf. Note that the title of the program also contains the name of the currently open Auction database file. You can use the File > New/Open/Save/Save As... menus to change the auction database file you're currently working with. Bid Groups are user-defined groups of similar items, from which you're only interested in obtaining one (or a limited number). For example, you can create a group of open PC Monitor auctions, and place bids on them, when you are only interested in a single monitor. What a bid group does for you is it limits the number of bids, depending on whether you've won a previous auction in the group. For example, you can set many different "PC Monitor" auctions in a group, and specify to only win one. You can then safely proceed to place bids in the program on all monitor auctions. Before executing each bid, the program will check whether you're currently winning another auction for a monitor, and will only bid if you have no other winning/high bid on an item in this bid group. Note bid groups in the program can also be used simply for grouping similar items. If the bid group is set to win "All" auctions in the group, all bids will be placed without any condition. For additional details on Creating/Modifying and Deleting Bid groups, see the Add Bid Group section. Double-clicking on the Item number of an auction in the grid will open a browser window and display the eBay auction description page. Double-clicking on the Seller column will open a browser window with all the current auctions by this seller. Double-clicking on the High Bidder will open a browser window with the bid history for this particular auction. Double-clicking on the Item Description (or most other columns) will open the Place Bid dialog in the program. Each line in the grid is color-coded to differentiate auctions that you're bidding on, open from closed, etc. All the colors are configurable from the Options menu. Also, note in the above screenshot that on the left of auction item numbers there are different icons for quickly identifying the types of auctions. Going over the icons with the mouse will display a tooltip explaining exactly what the icon means. For auctions where you have written notes, another "note" icon will be displayed to the left of the Item Description (going over it with the mouse will display the note as a tooltip). Sorting the Auction Grid - The auction grid can be sorted by clicking on each column heading. Also, in the Program Advanced Options ( Tools > Options > Advanced > Resort after auction added), there is a setting to define whether you want the Auction grid re-sorted each time you import an auction. Auction Grid Columns - You can add/remove and sort columns displayed in the Auction Grid by right-clicking on the auction grid headings as displayed in the image below left. Clicking "More..." will open a dialog (below right) that also allows for changing the order of the columns, allowing for further customizing the grid display. The lower portion of the program main screen contains the Event Log. It is intended to provide information about each action the program is taking, as well as a troubleshooting tool. What you see in this log can be customized from the program options (Tools > Options > Event Log). The settings in the options menu are explained in more detail in the Program Menus section of this documentation. The Status Bar at the bottom of the program has two main portions. On the right, you can see the current eBay date/time, and the minutes/seconds until the next auction refresh. On the left, you can see the current View menu filter by default. When starting the program, this is at the "View: All auctions" setting. Note that certain alerts are also displayed in this portion of the status bar, such as outbid/winning notices. Any such messages will be displayed in bold. View - allows for viewing a subset of auctions on the main grid. Add eBay item (text box and button) - eBay auctions can be added by entering the auction number (or full URL) in the text box and clicking the button to the right of it. Delete selected item - you can delete the auction currently selected in the grid. Refresh all items - refreshes auction information of all open items. Bid on this auction - opens the Place bid dialog for the currently selected auction. Cancel pending bid (only active for auctions where there is a pending bid) - cancels any pending bids for the selected auction. Synchronize clock with eBay's - exact time is essential for bidding in the last few seconds before auction close. Program synchronizes the clock automatically as well. Import from "My eBay" - opens a dialog for importing multiple auctions from "My eBay"
Options - opens the Options menu for setting program preferences. Check for program updates - contacts the www.auctiondefender.com website and checks for updates. - Open auctions - selecting this shows all open auctions, including those that you're bidding on, and those that you're only watching. You can also choose a subset of the "Open auctions" group. For example, choosing the "Pending bid" will only show open auctions that have a set snipe bid. - Closed auctions - this group only has two subsets. You can choose to view all closed auctions, or just those you've won/lost as the sub-groups suggest. - Recent auctions - this subset of the main grid will only show auctions considered by the program as "recent". By default, this means all open and closed auctions that are less than 30 days old. The number of days that are considered recent by the program is configurable from the Advanced Options tab (Tools > Options > Advanced > View Recent Auctions period). This can be very useful when the program has been used for a long period of time, and the grid contains a large number of old auctions you do not want to delete, but you still do not want cluttering your main screen. - All Bid Groups - this section only has sub-folders if you have Bid Groups defined. You can choose to work only with some Bid Group on occasion, and choosing this option allows for viewing all or selected bid groups only in the main grid. Note that the "bid groups" function in the program can be used simply for grouping similar auctions for easier identification. The Place Bid screen is where you can specify the time of bidding, amount, quantity, as well as the eBay user that is going to bid, and some optional advanced features, such as the bid group. Note that the Place bid screen has a number of customizable features, however most of the information is entered for you automatically, so bids can be placed fast, with a couple of keystrokes. The Place bid dialog is designed to be efficient, intuitive, and work for you even with a very limited time to bid. For example, simply clicking the "Bid" button will place the minimum winning bid on eBay. The top portion of the Bid screen shows information about the selected auction, including the title/subtitle, current bid, end time, shipping costs, bids history, seller, and high bidder. It also displays an image of the item, if one is available. All this information is displayed in the same format and order as eBay auction description pages. Snipe bid (time before auction end) - this type of time-delayed bid allows for bidding an exact number of seconds (or minutes) before the auction close. It is the recommended type of bidding, as it provides for maximum savings until the last seconds of an auction. Instant bid - this option places an immediate proxy bid on eBay, just as the name suggests. For "Fixed price" auctions, the snipe bid and instant bid radio buttons are disabled, and the "Bid" button is replaced by a "Buy" button. You can still track such auctions, and buy them using Auction Defender, just that they do not accept "bids". You can use CTRL+C to copy, and CTRL+V to quickly paste prices into the dialog, as long as the cursor is in the My Max bid control. Bid Groups are an advanced feature that allows for grouping multiple items, and then winning only one (or a specified number) instead of all items in the group that you're bidding on. You'd like to win one "Samsung 214t LCD" monitor. There are 10 currently open auctions on eBay, and 8 of them are below your target price. You add all 8 auctions to the Auction Defender program... Then if you place a time-delayed bid on each of the 8 items, there is a good chance you will win more than one... But you only need, and are only willing to pay for one. To avoid winning multiple items that you don't want, having to cancel bids manually, or retracting already placed bids, you should set a "bid group". When you place the above 8 items in a bid group, and specify that you only want to win one item in the group (see image to the right), the program will automatically do the rest for you. Auction Defender will bid on all items with the specified bid, until you win one. Once you have won one (or the specified number of items), the program will cancel all remaining "pending bids" in the bid group automatically. Note bid groups can be used simply for grouping similar auctions as well. The default is set to "Win ALL items in the bid group", which leads to a normal program behavior, without any bid conditions. Unless you specify a smaller number when setting up the group, bids will always be placed. The Group Bid button can be used to place the same bid on all items in the group at the same time (rather than having to place a bid on each item separately). The Cancel pending bids button allows for quickly cancelling all bids in the group. To set a bid group, you can simply choose the "Add bid group" button from the program button toolbar. The Add/Delete/Properties buttons for bid groups are located to the right of the "View" menu, as shown in the image to the right: Once you've created a bid group, you can add items to it from the bid screen, or from the main grid. Just right-click on any auction in the main grid, and select "Add to bid group" from the pull-down menu. Another way is by highlighting the auction in the main grid, then adding it to a group from the top "Auction" program menu. - program bids on auction1, you have the high bid. - the time for an auction2 bid comes, but auction1 is still open, and you're still the high bidder, and auction2 exceeds the limit of winning bids for the group. In this case, AD will not bid on the second item, since it must assume you are winning the first one at this time (provided auction2 bid exceeds the number of winning items you've specified for the group). Conditional bidding is an advanced feature that allows for even more flexibility than bid groups. The feature is accessible from the button bar in the "Place Bid" dialog. It allows you to set series of conditions before a bid is placed. For example, you can choose to bid on a monitor only if you win a computer first, or if you lose a previous monitor auction. Once a condition is set, the program will only place a bid on this auction if the condition is met. 1. Select multiple items on the grid by simply holding CTRL or SHIFT while clicking on auctions, then click the Bid button on the toolbar (or right-click and choose Bid from the menu) as you would normally with placing any bid for a single item. 2. You can place all items in a bid group, then click the Group bid button in the group properties. This screen is very similar to the lower portion of the "Place bid" dialog, allowing you to choose the exact snipe time, amount, ebay ID bid (the default/first one is already selected). The "Current price range" below your bid amount shows the range of current high bids for all the selected items. Note that it is not possible to place multiple bids on fixed price/store items. Once you add a note to an auction, a note icon is displayed to the left of the Item Description in the grid (provided the setting to display such note icon is enabled from the Tools > Options > Advanced > Display notes icon). If you hover over the notes icon in the grid, you can see the actual text of the notes as a tooltip. Double-clicking the notes icon allows for editing the text. The program also supports setting custom "Flags" for easily identifying auctions within the grid. You can use the "Flag" column to place an identification icon of your choice for some auctions. It allows for quickly spotting auctions in the grid that meet certain criteria. For example, you may want to mark auctions you already paid for, or auctions you are particularly interested in. The different icons available for this column allow you to quickly set a flag for particular auction types as needed. Sometimes AD can not automatically determine the best shipping method you'd normally use with an auction. The program takes the first shipping method (from the top portion of auction pages). If the auction has multiple shipping/handling methods/prices, it may be useful for you to pick one, and enter it into the program for your personal reference later on. The "Custom Shipping" dialog is accessible by double-clicking the Shipping column in the auction grid. It can also be accessed from the "Place Bid" dialog, by clicking on the (customize) portion of the shipping line. This dialog allows for manually overriding the shipping in the program to reflect your preferred method of shipping. If you delete the manually entered shipping amount, it will revert to the default recognized by the program on the next auction refresh. Note this shipping also affects two tooltips on the auction grid: the tooltips when hovering over the "My bid" and "High bid" columns shows a total cost for the auction (bid + shipping). The Auction Defender program works with database files that contain all the auctions displayed on the main grid, as well as all necessary information about them, such as bids, notes, etc. Those database files have .adf extension, and are stored in the program directory by default. The name of the database file that is currently loaded is displayed in the program title as well. The top four options in the File menu: "New / Open / Save / Save As..." allow for using multiple database files. Using the file menu, you can save and open multiple sets of auctions by working with multiple .adf files. In addition to working with multiple database files, the "Export" option allows for exporting data from the program in different standard formats, as the name suggests. The Auction Menu is identical in functionality to right-clicking on an item in the Auctions Grid. From here, you have the ability to add a selected auction to a bid group, to open the selected auction(s) related eBay web pages, to bid, cancel pending bids, or delete the selected auction. Note if multiple auctions are selected in the grid, you will be applying the action to all selected auctions. For example, you can open multiple auction pages in your browser by selecting them in the grid, then clicking "Open auction page(s)". Using this menu, one can import auctions from My eBay's auctions list. You can choose to import auctions user is bidding on, or watched auctions, and the program will mass-import all of them into Auction Defender. Using this menu, you can import auctions based on seller id. All the seller id's already in the program are available from the pull-down menu, or you can type a different seller id. This advanced feature allows for mass-importing from any eBay auctions list page ! You can use eBay's own search features and advanced filters by category, keywords, dates, etc. Once you customize any search simply take the URL from your browser, and paste it into the URL field of the import form. You can also save your favorite searches into the Auction Defender program, and periodically import any new results. Note that this mass-import feature introduces the ability to add hundreds of auctions to the program within second. To avoid confusion, you can use the "Add to bid group" feature to separate imported auctions into different bid groups. You can then view them on a separate screen, or remove them at will, as a group. The program also allows for setting up a scheduled import for any type of import. You can specify your custom search parameters and filter, then easily set a schedule to have the new results imported into the program periodically. You can also choose whether the program performs a particular scheduled import from the properties dialog. The Options menu contains a large number of user-defined preferences, allowing for customizing the look, feel and functionality of the program, as described below. Each individual setting is described below the screenshot. Auto-refresh auctions every x minutes x seconds. This setting determines how often the program will check eBay auction pages. A small interval requires more bandwidth, however shows auction updates faster. Note that if you mass-import hundreds of open auctions to the grid, you might want to increase this interval to reduce impact on your available bandwidth. Default snipe time - this setting determines the default number of seconds for snipe bids. Usually, broadband connections can safely reduce that number, just remember it is more important to get that bid in, rather than doing so in the last possible second. Synchronize clock with eBay's every x hours - exact time is crucial to placing snipe bids on time, so periodic time synchronization with eBay is a good idea. Preferred eBay Site - for international use. Please do not change the "Custom eBay GMT offset" unless absolutely sure the ebay time in the program is wrong. Adjust Local daylight savings - checked by default, whether the program should adjust your local time for daylight savings. You shouldn't have to change that. Display End Date column in Local Time - check if you prefer the "End Date" column in the grid to display local time instead of eBay time. Refresh auctions on program start - refresh all open auctions when the program is started. Check for updates on program start - every time you start the program, connect to the Auction Defender website and check for updates. Check for updates every x days - if the program is running continuously, connect to the Auction Defender website and check for updates at the specified interval. We update the software on a regular basis to keep up with eBay changes and add new features. This should be enabled and at a fairly short interval to keep the program functional. The Internet [Connection] tab allows for setting up the AD internal browser, as well as setting the program to work behind a web proxy server, if necessary. When the program is initially installed, it attempts copying the proxy server information from Internet Explorer. Internal Browser Home Page - allows for customizing the home page in the internal browser. If you choose "Use Blank", the program will not load a page on program start. Use internal browser - when checked, the program opens web pages in the built-in browser, instead of opening your default external browser. Open each web page in one/new browser window - this can be set at your preference, when the program opens web pages they can be open in one, or multiple browsers. Use proxy server - allows for setting the program to work behind a web proxy. The Users tab should be configured with at least one eBay user ID/Password, in order for Auction Defender to be able to login to eBay and place bids automatically for you. This section also allows for adding multiple ebay user ids, and testing the user id/password combination after entering it, by connecting to eBay and confirming a valid login. This dialog also allows for setting a "Default" primary user, which will be the selected default user when placing bids, importing auctions, and using links that require ebay login. Users added to AD are selectable from pull-down menus in the "Place Bid" and "Import" dialogs. The top "Colors" section of this screen allows for customizing the look of the Auctions grid. You can define different background and text colors for each type of auction. We suggest using slightly different color codes for the open and closed auctions, other than that use what looks good to you. Alert - auction won - displays a message and sounds an alert after auction close if the auction is won. Alert - auction lost - displays a message and sounds an alert after auction close if you loose the auction. Alert - outbid - triggered at auction refresh for active auctions, if you're outbid. Alert - bid change (where bidding) - sounds an alert (no message) on bid change for auctions you're bidding on. Alert - bid change (watched auctions) - sounds an alert (no message) on bid change for any open auction in the program. Alert - ending soon - sounds an alert (no message) 15 minutes before auction close, for auctions with pending/existing bids. Display notes icon - this setting tells the program whether to display the "Note" icon in the "Item Description" column of the Auction Grid. Re-sort after auction added - as the title suggest, this determines whether the Auction Grid is re-sorted each time you add a new auction. View Recent Auctions period - the number of days to consider auctions "Recent". Recent auctions can be displayed from the View screen, instead of all auctions added to the grid. Working threads - this setting specifies the number of separate threads that the program can run simultaneously. If you're not sure, leave this at the default number of 3 threads. Auction Defender, unlike other similar programs is multi-threaded. Minimize instead of close program on [X] - check if you prefer the program to be minimized to the system tray when you click the [X] in the upper right corner. Randomize refresh time - when you start the program, all open auctions are refreshed at the same time, within a few seconds. Then, for a few minutes (the number of minutes for refresh specified in the General options tab), the program does not use the Internet connection... Then there is a burst of traffic again, while all auctions are refreshed. Even though Auction Defender is multi-threaded, and auctions are refreshed on separate timers, this settings allows for randomizing of the refresh time by a couple of seconds with each refresh. That way, over time the background Internet traffic required for refreshing auctions is spaced out more evenly, allowing for a more seamless, unobtrusive use of the available bandwidth by the program. Start programs at Windows start - this option allows for automatic launch of the program when starting Windows. The program needs to be running for bids to be placed, and for auction tracking. If you find yourself starting the program manually every time you start the computer, this option might be more convenient for you. Alert on program exit while bids pending - if you exit the program, pending bids might not be placed. Having a checkmark here displays an alert when exiting the program, if there are pending bids that will be affected by your action. Shut down when all auctions with bids end - If you prefer not to have your computer running unnecessary, Auction Defender can shut it down after placing the bids for you. The Event Log Options tab allows for customizing the log view within the main screen of the program, below the Auction Grid. You can choose which events you want displayed. For example, you might want to disable viewing each auction refresh, while still viewing bid changes, and other more important events. This tab also allows for limiting the file size of the log file (a text file in the program directory), and the scroll back buffer in the log view within the program. You can specify the period, after which auctions in the grid are considered for deletion. "Delete all closed auctions" will delete all auctions, including won/lost, after the specified time period. "Delete auctions without bids only" - deletes only auctions that you haven't bid on after the specified period. "Delete lost auctions only" - deletes only auctions with the "los" status after the specified time period. This dialog allows for modifying the columns displayed in the grid. Grid columns can also be customized by right-clicking on any column heading in the main grid. This option connects to the Auction Defender website in order to check for program updates as the name suggests. eBay makes some changes to their website periodically, which in turn might require Auction Defender program updates. We might also have some new features, and bug fixes available from time to time. Note that the program can also be set to check for updates periodically from the Tools > Options > General > Check for updates menu. View Messages allows for viewing of recent Alert Messages, such as winning auction notifications, outbid messages, etc. This option toggles the display of the Event Log in the lower portion of the main program screen, below the Auction Grid. Events still get logged, even if they're not displayed on the main program screen. This menu is a useful tool providing information about average times it takes to refresh auctions, sign in and bid on eBay. This information can then be used to fine-tune snipe bids by making an educated guess of how long it would take to actually place bids. This menu contains links to the End User License Agreement, the Online Help file, as well as version information about the program. For the Online Help link to work, you must be connected to the Internet. In addition, the help menu contains a few other menus, as noted below. The Quick Start Guide is accessible from the "Help Menu", and provides a quick introduction, just as the name suggests, to using the program. It gives the essentials to adding auctions, as well as initial setup of the program, and bidding using Auction Defender. If you're not already familiar with similar auction sniping products, you should probably read over at least the quick start guide to be able to efficiently use the program. This menu allows for easily sending us error reports. Occasionally, eBay makes changes to their website, which causes errors in certain types of auctions, or some international eBay sites. To help us quickly identify any such errors, you can use this menu. It zips and sends the program log file, and any recently logged errors to AD support. In addition to the menu, you can also hit "CTRL+E" on your keyboard to refresh and log information about selected item(s) in the grid. You can choose additional items to be logged and included in a bug report that way. Note that "CTRL+E" is optional, and should only be used to add more items to the report. It creates additional files for each selected item in the form "error_....zip" in the program temporary directory (C:\Program Files\Auction Defender\Temp by default). After the initial trial period, you are required to register the product in order to continue using it. The registered product allows you to use the program on up to three computers, provided you're the primary user on all of them. Open the "Register" menu, and enter your valid email address. While connected to the internet, use the "Buy Now Online" button if you're a first-time buyer, or the "Request License Key" if you require an additional license key for one of your alternate computers. Please enter your primary, valid email address. We respect your privacy. Your valid email address is used to send you your license key, and is a necessary part of the registration process. The program connects to the Auction Defender website and finish the transaction. If you're a first time buyer, you will be directed to a page where you can complete payment for the product. If you're requesting additional License Key, it will be issued to you, provided the website can verify that you hold a valid license and the maximum number of simultaneous uses has not been reached. Once you enter a valid License Key (as provided by the website) in the Registration dialog, you can click the "Register" button to complete the process. My bid was never placed ? The Auction Defender program must be running at the time when the bid is to be placed. Changes to the eBay website. Usually, program errors are associated with changes to the eBay website. At times, the eBay website is updated, and sometimes that requires small changes to the Auction Defender software, in order for it to be able to recognize and parse pages correctly. We are constantly working on improving the Auction Defender program, however we can't foresee all possible future changes to the eBay website. When such change occurs, the Auction Defender might stop functioning. We usually have an update ready just hours after we become aware of such eBay website changes. Still, email us if you feel the program is not working correctly, and we haven't timely addressed any eBay changes. How to recognize problems related to eBay website changes ? Those errors are also logged in the program temporary directory, in the form: error_.....zip. Please use the "Email Bug Report" feature in the program's Help menu to email all those errors to AD support, it makes it much easier to understand and troubleshoot the exact problems. Please see the Auction Defender FAQ for additional troubleshooting tips, or with any problems not covered by the FAQ and this help file, and we'll try to help. Sometimes rebooting your PC, and reinstalling the latest version of the program can fix your problems as well. 1. Navigate to the Windows/Start menu -> expand "All Programs" -> expand "Auction Defender", and click the "Uninstall Auction Defender" link. 2. Alternatively, you can navigate to: Control Panel -> "Programs" -> "Progams and Features" -> "Uninstall a program" - "Auction Defender"
Note: Auction Defender is not bundled with, and does not install any third-party software. Auction Grid The color-coded, spreadsheet-like portion of the Auction Defender main screen that contains auction details. Bid Group A group of similar auctions, from which you only want to win one (or a pre-defined small number), rather than all. Dutch Auction eBay defines Dutch auction as a "multiple items auction". It is an auction type in which the seller is offering multiple identical items for sale. Unlike a regular eBay auction, Dutch auction can have many winners. Fixed Price Item Auctions listed as "Fixed Price" don't accept bids, they only have a "Buy It Now" option, that may, or may not require immediate payment. My eBay A personal page on eBay where you can track auctions, manage messages, feedback and general account preferences. Proxy Bid A maximum amount you are willing to bid for an item. eBay places minimum winning bids for you as necessary, up to the proxy bid amount. Note that bids are placed for you at the minimum increments, and the proxy bid amount is only reached if someone else has placed an equal or higher bid. Proxy Server A computer on the Internet that serves as a gateway, making requests and forwarding them to your computer. Some Internet Providers require the use of proxy servers. Auction Defender inherits the proxy settings from your browser. Reserve Price The lowest price at which a seller is willing to sell an item in an auction. This feature is optional. The exact reserve price is only known to the seller. Snipe a time-delayed type of bidding, that is placed in the last few seconds before an auction closes. Sniping allows for getting the "last shot" at being the high bidder, while avoiding early bid wars and driving the price of the auction up unnecessary. Auction Defender can place snipe bids for you without you having to be at your computer when the auction closes. Revision history has been moved from this document. It is now located at www.auctiondefender.com/revisions.php . Downloading and using the Auction Defender Software implies agreement to our Software End User License Agreement.